Integrate all your data on the cloud and on-premise with our powerful and easy to use data integration service. Etlworks Integrator is an all-in-one, any-to-any data integration service and etl tool for all your projects, regardless of the complexity, data location, format and volume. Connect to all your cloud and on-premise data sources, even if they are behind the firewall, semi-structured, or unstructured. 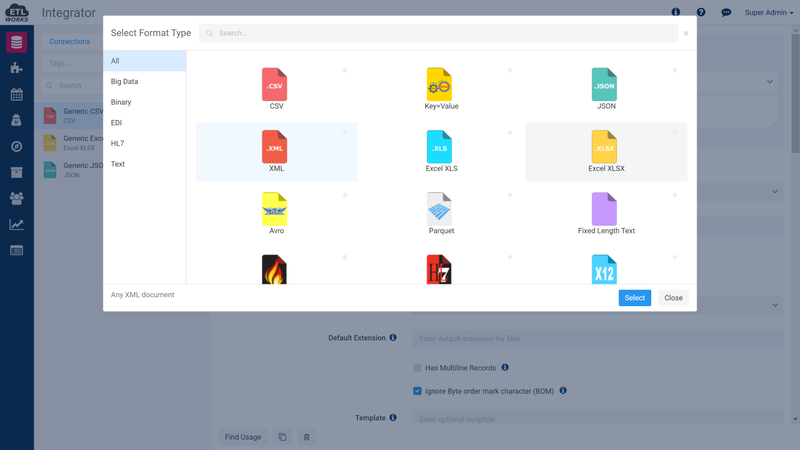 Manage your own data integration workflow using simple drag and drop interface. 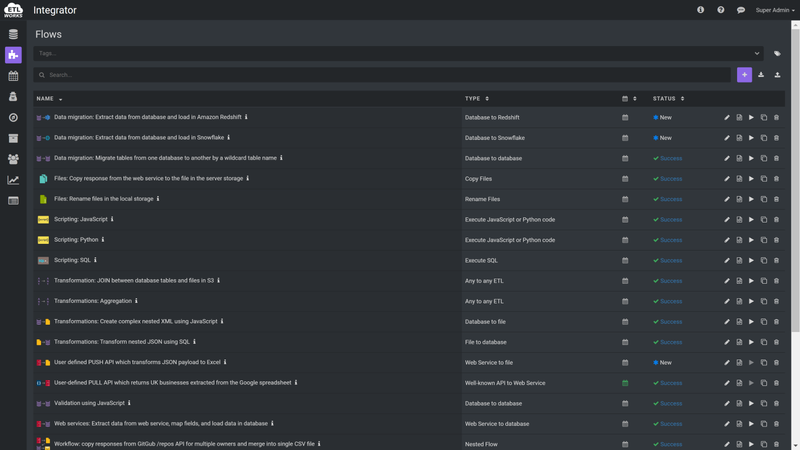 Test and schedule flows with just a few mouse clicks. Let us host and manage a data integration solution for you, or install it on-premise and have a full control. We provide a solution which will meet your current and future data integration performance requirements. Out-of-the-box Etlworks Integrator supports numerous highly configurable data integration scenarios. Extract data from all your sources and load into all your targets, regardless of the format, volume and location. Parse and create nested XML and JSON documents. Work with data behind the firewall. Map sources and targets, as well as fields using drag and drop interface. Apply complex transformations, such as de-duplication, pivot, de-normalization, partitioning and tens of others. 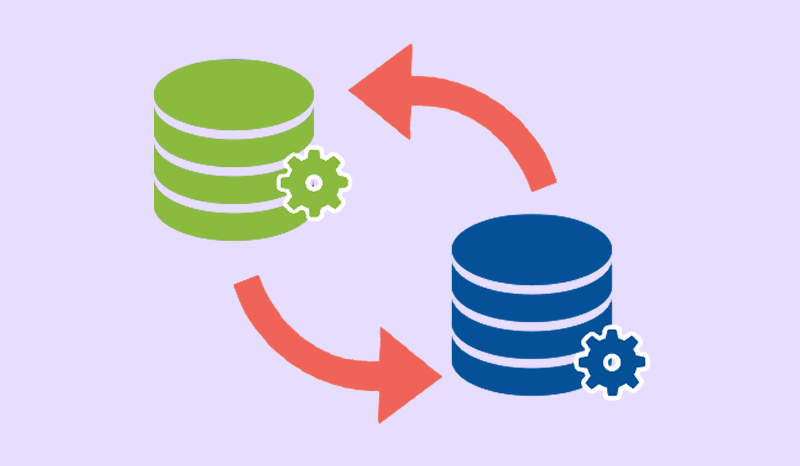 Set up data synchronization between different data sources with minimum effort. Use streaming platforms, such as Kafka to build real-time data pipelines. 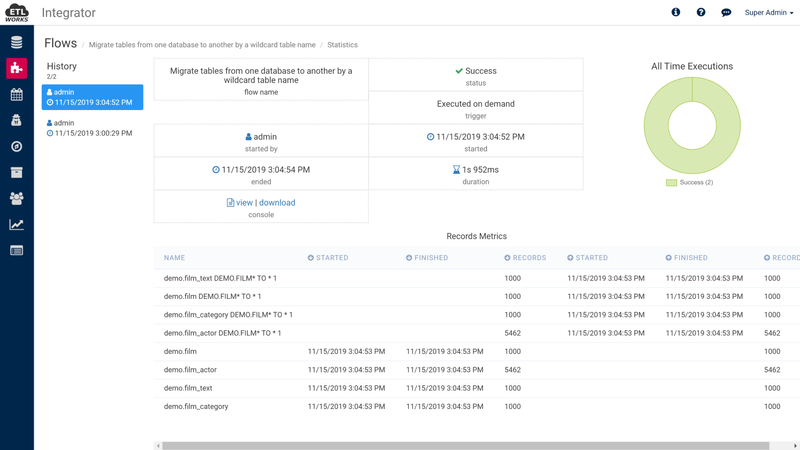 Create a copy of the database or cloud data source in another database or file storage, such as Amazon S3, Microsoft Azure, Google Cloud Storage, FTP, FTPS, and SFTP. Connect to practically any REST and SOAP API, as well as APIs based on industry standard EDI formats, such as HL7. 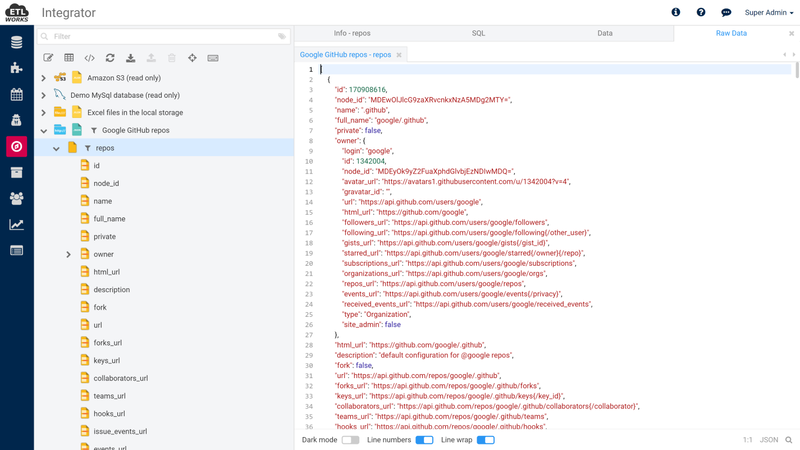 Build complex APIs with just a few mouse clicks. Explorer is an Etlworks Integrator's add-on, which helps people see and understand their data. 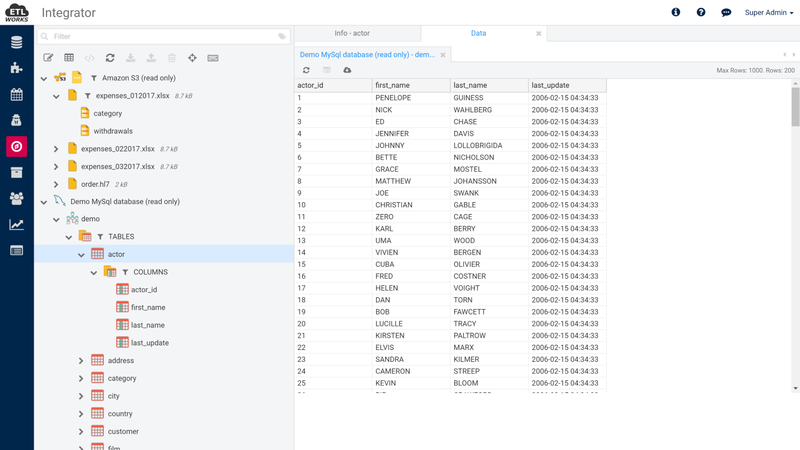 Whether it’s in a spreadsheet, a SQL database, a file, or a web service, you can connect and visualize any data, anywhere. Read more about Etlworks Explorer. Explore data sources and their structure, regardless of the format or location. Use it to develop and debug data integration flows. 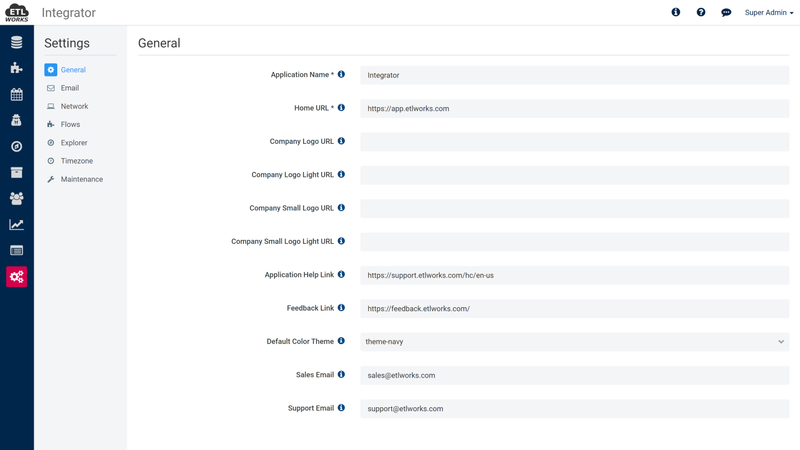 Etlworks Integrator can connect to almost all relational and NoSQL databases, local and cloud-based file storages, public and private APIs, social networks, as well as read and write data in most common data exchange formats. If the connector you are looking for is not on the list, we can build it for you in no time. We offer Etlworks Integrator as a hosted and managed service (SaaS). All plans include standard support, quick start service, uptime monitoring and installation of patches and updates. We can install and configure Etlworks Integrator on any hardware you managed. Subscribe to the service and pay fixed monthly fee, or buy a perpetual license for the Integrator and own it forever. Tell us about your project or problem. We will be in touch with you within a few hours. 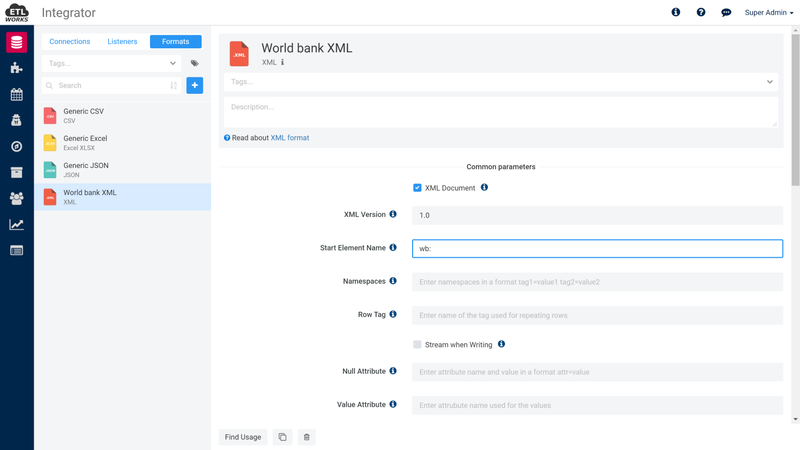 Choose from tens of connectors, formats and built-in scenarios to create your own data integration flows. 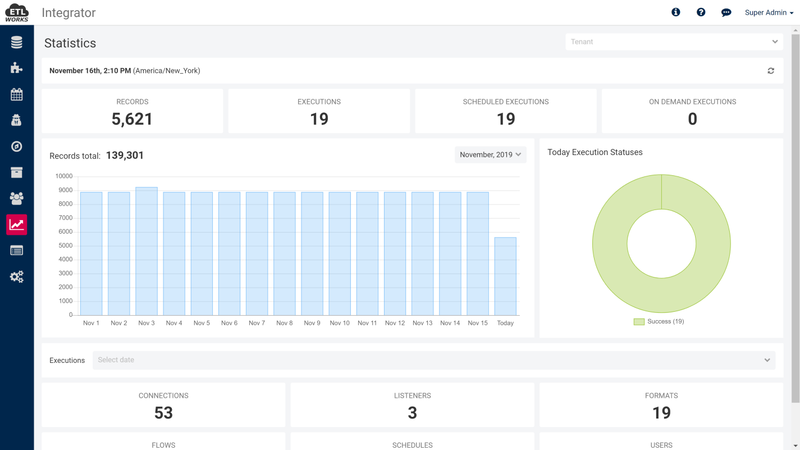 Schedule flow and monitor as it’s running in real time or execute it on demand. Subscribe to the plan, update payment method, view invoices and more. 08. FAQ Would you like to know more? Etlworks helps businesses of any sizes connect various systems and APIs through the common gateway. We located in Pittsburgh, PA and registered with the Pennsylvania Department of State, tax ID # 81-2742454. Starting a data integration project? Contact us at sales@etlworks.com. Etlworks Integrator is the most powerful, yet cost effective, cloud data integration service on the market. We work directly with the customer to ensure that our system meets your needs. We implement requested features in a matter of weeks, if not days. Our support is a best in class. Connect to everything with us! Read more about "why Etlworks?"" in our blog. How Etlworks Integrator is different from other similar services and products? Etlworks Integrator is a powerful and easy-to-use cloud data integration service that can work with structured, semi-structured and unstructured data of any type, shape, and size. Users can create and execute very complex data integration and automation scenarios in no time, right in the browser, using intuitive drag and drop interface. Also, Integrator is a full fledged Enterprise Service Bus, so users can easily build APIs with just a few mouse clicks. Etlworks Integrator supports unique data integration scenarios, typically requiring a specialized set of tools and costing a fortune to implement, such as: data synchronization, HL7 transformations, direct data upload into the online data-warehouses such as Snowflake, and many others. Can I try service before buying it? Yes you can. Just sign up for the service and use it free of charge for 14 days. You can choose a specific subscription plan once your trial period expires. How do I choose a subscription plan? You can choose between the three most common packages. 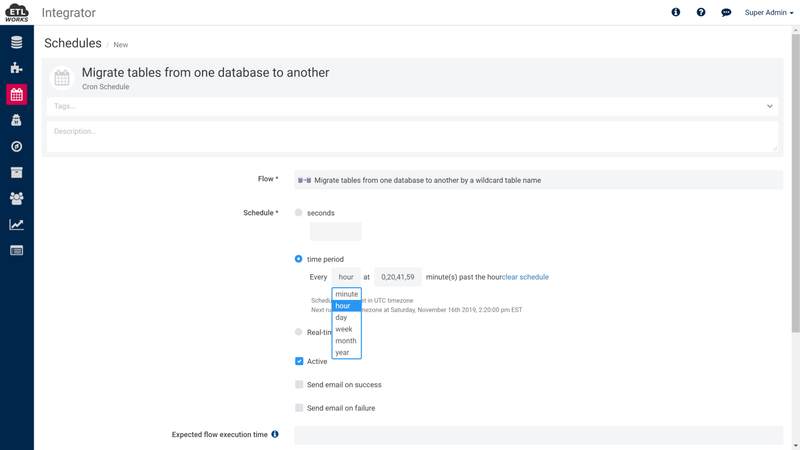 Subscription plans are based on what type of instance is used: shared or dedicated; how much data will be moved every day; how many scheduled packages are required and how often scheduled flows must be executed. Enterprise plan includes ability to setup tenants. Tenants are sandbox environments inside of the Etlworks Integrator instance, which means they are completely isolated from each other. Organizations can use tenants to split users and integration flows based on the geographical location, level of access, etc. Is it possible to install Etlworks Integrator on-premise? Absolutely. Read more about our on premise options. What is a difference between subscribing to the service and buying a license? When you subscribe to the service we manage everything, from hardware to software and you pay us fixed monthly fee. When you buy a license for the Etlworks Integrator you pay us a one-time upfront fee, we help you install and configure Integrator and you can use it forever. Standard support is included. We provide monitored service 24/7 and you will receive free automatic upgrades as long as you are subscribed to the service. As a part of the subscription plan, you will have access to all available connectors. Extended support is subscription based. It includes professional services (we will write data integration flows for you), priority support, incident-based support, maintenance-based support, and performance tuning. What is a quick start service? 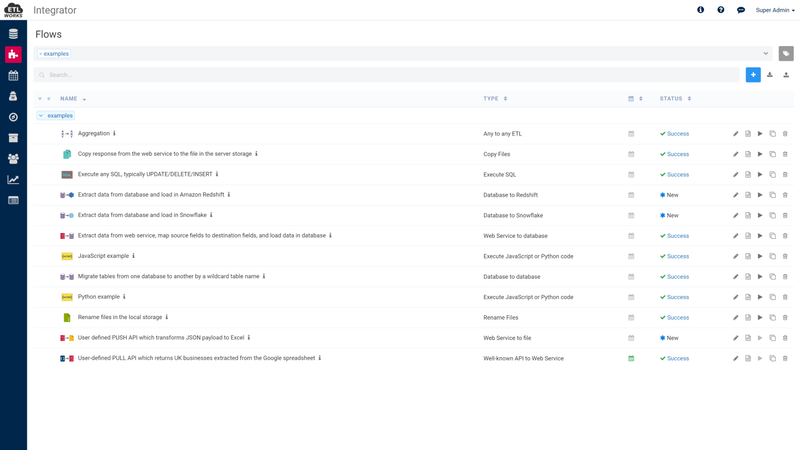 When you subscribe to our service we will help you configure your first connectors and flows. We will also do a quick product walk-though and will demonstrate most important for you features of the Etlworks Integrator. The quick start service provided free of charge. Can Etlworks Integrator connect to my database/application/service/etc? Please see the list of the available connectors and formats. If connector you are looking for is not on a list - we or our partners can develop it practically in no time. 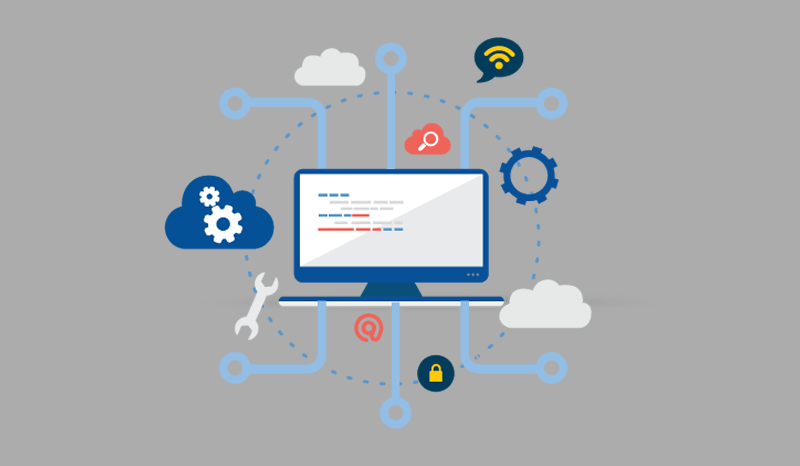 Can Etlworks Integrator connect to the web services? 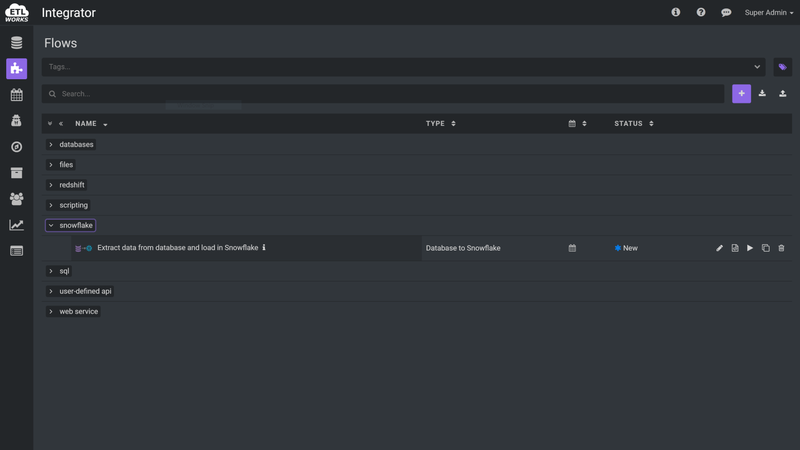 Integrator supports REST and SOAP based web services through an HTTP connector. You can specify the endpoint, type of the payload and a format (JSON, XML, etc. ), as well as any authentication parameters, and Integrator will handle the rest. 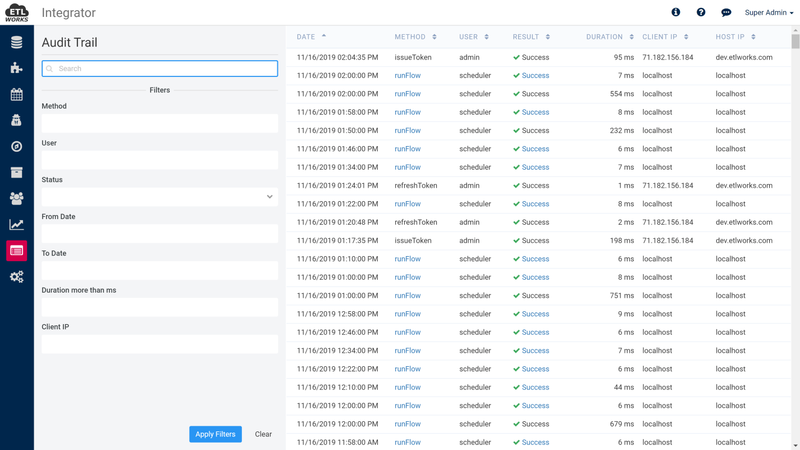 Integrator will automatically connect to the endpoint, push the payload and parse the response. There is no difference between working with the web services compare to working with the files downloaded locally. 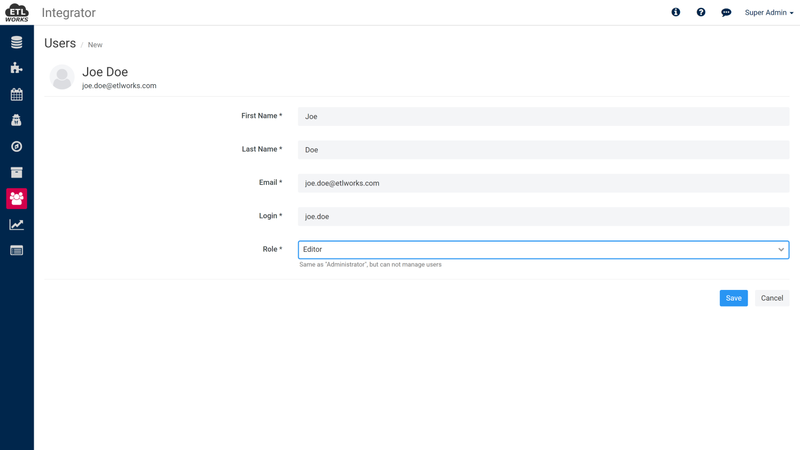 Can Etlworks Integrator connect to the well know APIs? 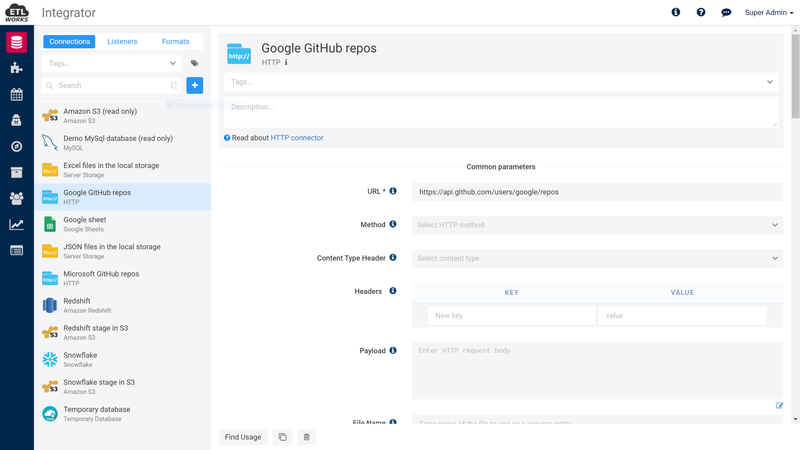 Integrator can connect to practically any API using HTTP connector. 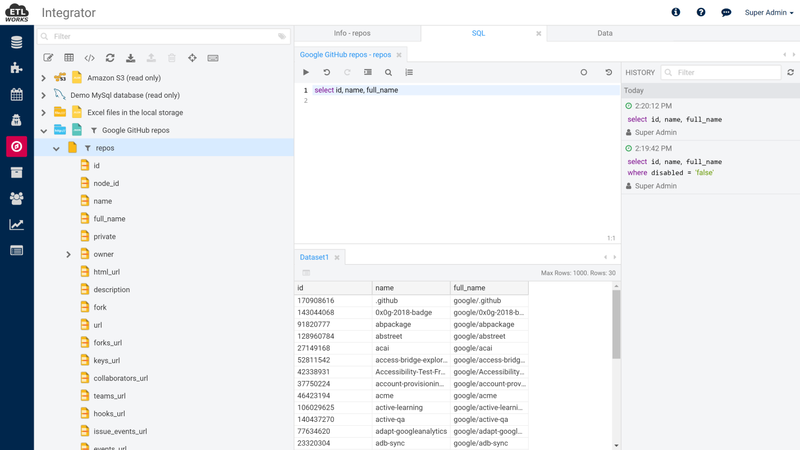 It also includes a growing list of built-in connectors to the well knows APIs, such as Google Analytics, Google Sheets, Facebook, Twitter, etc. We are constantly adding new connectors. Does Etlworks integrator support any of the standard EDI formats such as HL7? Integrator fully supports HL7 v 2.x and 3.x, as well as most of the commonly used data exchange formats, such as XML, JSON and CSV. 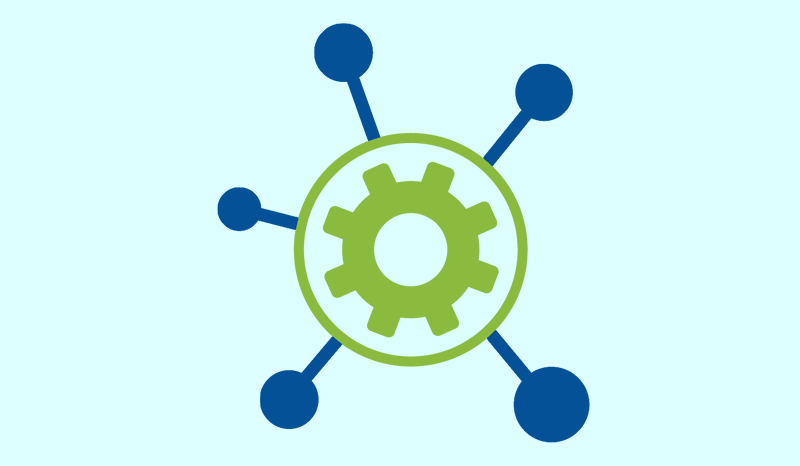 Does Etlworks Integrator have its own REST APIs so we can integrate our system with it? Yes it does. 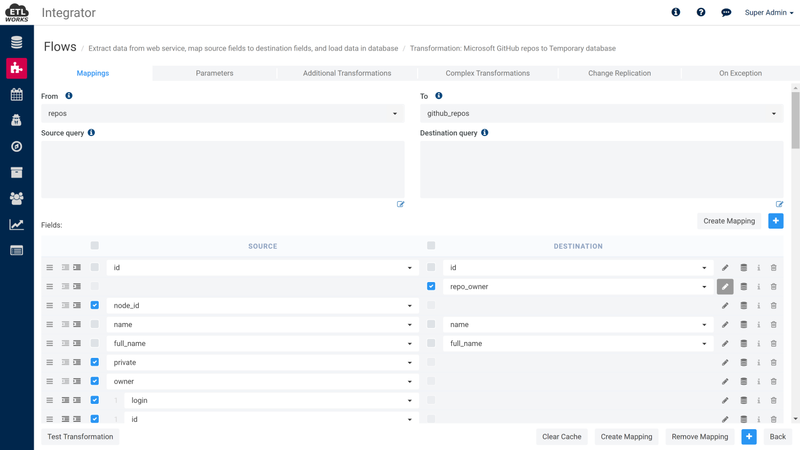 Read more about integrations and APIs and how to build REST APIs in Integrator. Can we trust our data to you? We don’t have access to your data at all unless you opt-in to store it on our servers. If needed, we can install Integrator on any hardware managed by you, including cloud providers such as Amazon and Microsoft. We take security very seriously. We only use SSL connections, all our API endpoints are protected by short-lived JWT tokens and we encrypt all passwords, security keys and tokens. How do you encrypt credentials? In Etlworks Integrator all passwords, access keys, and other secure credentials are encrypted by strong encryption algorithm with a long encryption key. Where I can read more about your security policies? Can we install Etlworks Integrator on premise? Yes you can. Read more about our on premise options. Installing Etlworks Integrator on premise is not an option. Can it still work with the data behind the firewall? No worries, we have got you covered. Please read below. My database is in a corporate network, behind the firewall. 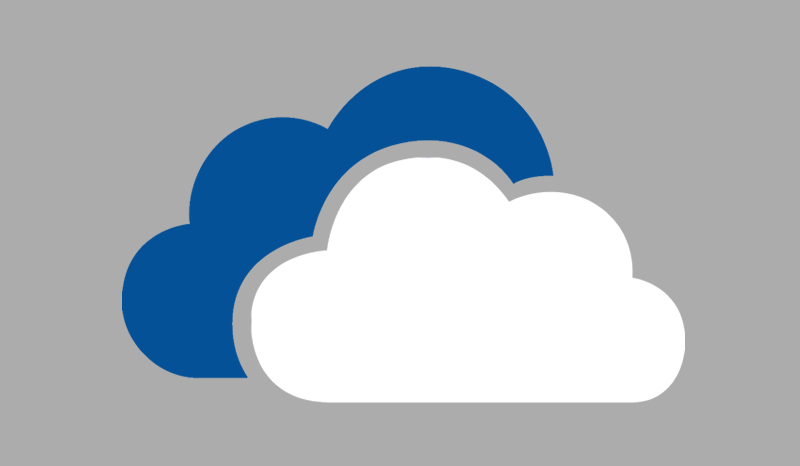 How can Etlworks Integrator access it from the cloud? We install and configure a zero-maintenance background service called Integration Agent right in your network. It connects to your corporate database and to the Integrator on the cloud. How does the Integration Agent communicate with a databases and APIs in a corporate network? Integration Agent works behind the corporate firewall, so it communicates with databases and APIs directly using the appropriate protocol (JDBC, HTTP, etc.). How does the Integration Agent, working behind the corporate firewall, communicate with Etlworks Integrator on the cloud? 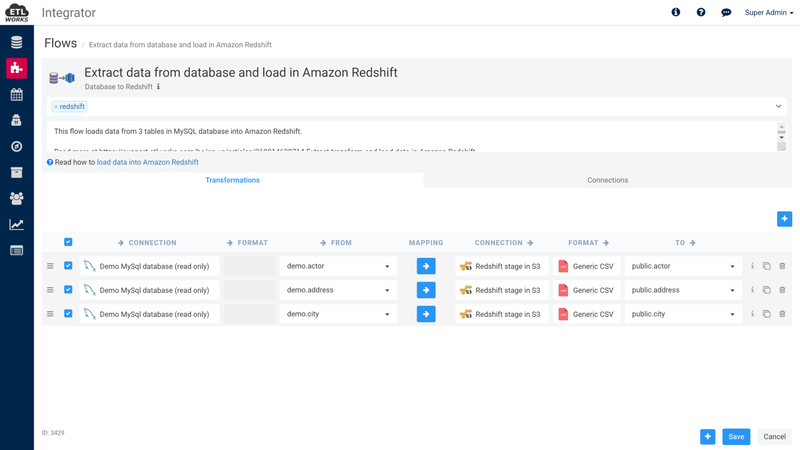 Integration Agent can push data to the secure file storage, such as Amazon S3, Google Cloud Storage or Azure Storage, which is accessible by Etlworks Integrator, or it can push data directly to the Integrator REST API. Is it possible to load data into my corporate database or API using the Integration Agent? Absolutely. 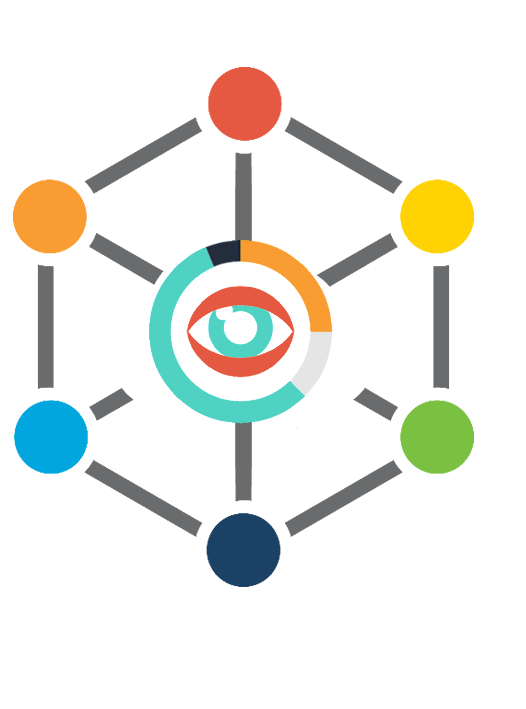 Our Integration Agent can load data into the database or API. Yes we do! Partnering with Etlworks will give your business a head start and will allow you to uncover new opportunities and find new possibilities for growth. We are offering distinct financial incentives and a great support to our partners. Interested in becoming a partner? Contact us today. Or, send us questions or comments by filling out the form.